Millions have pledged to save the planet- what will you do? This is an amazing cause. Without the planet none of us would be here. 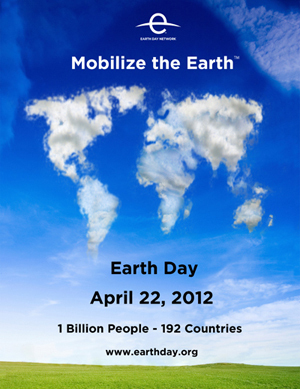 Everyday should be Earth Day, but April 22, 2012 is a great start to creating worldwide respect for our beautiful planet!